SR Coates Plumbing and Heating’s plumbing services are perfect for any family looking for a new bathroom in their house. Our plumbers can offer the complete service from bathroom design to bathroom installation from start to finish, working around the customer with minimum disruption to the customer. SR Coates Plumbing and Heating’s bathroom design offer the customer that high-quality design they are looking for without costing them an arm and leg. Not only do our plumbers offer great design services but they are also qualified to undergo the installation services. Installing toilets, basins, showers, bathtubs and all the other essential pipework. 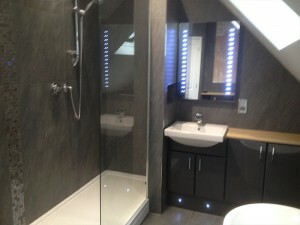 Since the company first started we have been design and installing bathrooms for clients throughout the whole of Oxford. No matter the shape or size of your bathroom space we can design and install a bathroom that meets your requirements. We work with you from the very beginning designing a bathroom that suits your requirements. We can also cater for any special requirements you may have, such as a disabled shower adaptation. After the design has been agreed we will then start the installation of the bathroom. We like to keep our clients informed throughout the whole installation process, leaving you to rest assure that your perfect bathroom is on its way.